I’VE GOT A FRIEND WHO’S A NARCOLEPTIC record executive down on Music Row here in Nashville. He knows everybody in the business and sometimes we ramble about all things musical, just for sport. “Who you think is the most successful artist of our times?” Ken asked. “By what standard?” I said. J.M. 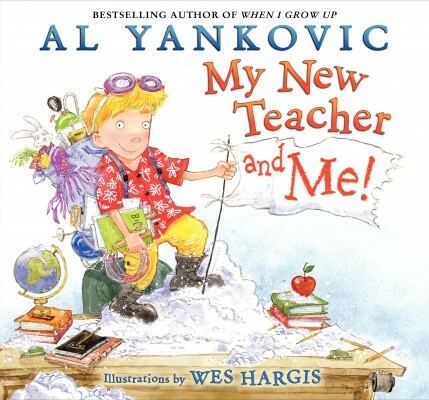 Blaine: In reading your new book, (Weird Al, The Book) it’s amazing how many genres you’ve crossed, legends you’ve outsold and outlasted — just how much of an icon Al Yankovic has become? Can you really be as humble and grounded as it appears? What’s, like, the most diva move you’ve ever pulled in your career? “Weird” Al Yankovic: Once I cancelled my entire tour because the watermelon in my backstage dressing room wasn’t seedless. No, I didn’t do that. Everybody in my band and organization is pretty mellow and easy to get along with… if anybody tried to pull any actual diva behavior, they’d get called on it pretty quickly. You were valedictorian of your high school and got a degree in architecture. What kind of architect would Al Yankovic have been? Probably not a very good one. Even though I was the top student at my high school, I found that I was pretty average in my college architecture classes – mostly, I think, because I didn’t have the passion for it that the other students had. I feel really fortunate that I’ve been able to recognize that, follow my muse and actually make a nice living doing exactly what I love doing. What experiences from your childhood prepared you for your career? I read a lot of MAD Magazine when I was a kid – that warped my mind at a pretty young age. In fact, when I was 12 I told my school guidance counselor that I wanted to be a writer for MAD when I grew up, but in his infinite wisdom, he talked me out of it. I got to see an advance copy of your latest children’s book – My New Teacher & Me. In this title and the last (When I Grow Up), the child inspires the teacher. Was your creativity encouraged or stifled in school? I had some teachers that really encouraged me, and others not so much. I just thought it was important to remind kids how valuable it is to have an open mind and an active imagination, no matter who’s trying to systematically drum it out of them. In the new book, I especially loved that island where the traffic lights flashed pink, blue & grey. That’s the sort of wild childlike imagination we all too often lose as adults. I felt like there was a bit of a subversive message for older readers as well. Thanks – you’re probably right! What are your thoughts on improving the education system? Oh, I don’t know. Public school classrooms are overcrowded, so, um… let’s have 5 teachers for every student? When I was in grade school, I was obsessed with Dr. Seuss – I would check out those books from the local library and memorize them word for word. I was just fascinated with the bizarre creatures and outlandish characters and unusual wordplay. We’re mainly a literary site so talk to us about your favorite adult books and authors as well. When I read books, they’re mostly by or about comedians (Tina Fey, Steve Martin, Allan Sherman, etc.) but a couple years ago my wife turned me on to Malcolm Gladwell and I immediately read his entire catalog – interesting stuff. Back in Abnormal Psych I remember studying about how most comedians were actually deep, tortured thinkers. What do you ponder deeply? Mostly I ponder whether I want real cheese or soy cheese on my pizza. It’s an issue that tortures me daily. What five artists did Weird Al listen to most in the last year? When you hear a song do parody lyrics start running through your head? How does that process work? I haven’t been actively working on parodies yet, so the artists that I’ve been listening to have been mostly older ones, for my own pleasure – I’ll say Cat Stevens, Pixies, CSNY, Foo Fighters and Southern Culture on the Skids. And no, I don’t spontaneously come up with parody song lyrics – I can certainly enjoy music without automatically trying to deconstruct or change it. Even when I’m actively working on a parody, it isn’t effortless – it often takes a lot of hard work to be goofy. I’m researching this interview & see that people from your church are on the cover of the Poodle Hat LP. My mind is spinning — what is Weird Al’s church like? What would an album of Weird Al Hymns be like? “Bringing in the Cheese”? Thanks for the idea, I’ll get right to work on “Bringing in the Cheese.” I’m sure it will go over big. I heard Prince was a big fan of Mad and Cracked magazines — so I thought it was strange that he would never allow you to parody any of his songs. Can you tell me some of the ideas you had for a Prince lampoon? Oh, I hate to give out unused ideas, because I may recycle them in the future – but there were a good half-dozen or so Prince parodies that I pitched in the ‘80s, and he never approved anything. Maybe his sense of humor has improved in the last 20 years, but I get the impression he’s just not into having his music parodied – and I have to grudgingly accept that. Prince’s management forbid you to make eye contact with him at the American Music Awards. Did you look anyway? Did you catch him looking at you? Don’t tell anybody, but yeah, I did sneak a peek. But we never did establish actual eye contact, so no harm done. Your mention of Tonio K. in Weird Al, The Book is the first I’ve heard since I was a kid. I remember seeing a review that called Romeo Unchained the “best album ever recorded”. I bought it just for that and still think he’s a really great and underrated artist. In fact, I mention that just so you can comment and we can give T.K. a little bump here. When I do my non-parody songs – and I should point out that half the songs on my albums are originals – oftentimes I will do them as pastiches – that is, in the style of another artist. 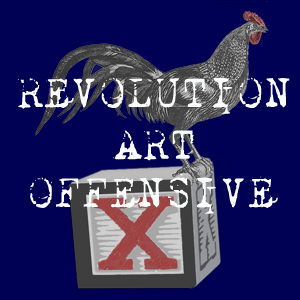 And these artists aren’t necessarily contemporary, or even terribly popular – they’re just artists that I happen to really like. I’m not sure how many people know who Tonio K. is, but he’s one of my favorite artists and I’ve actually done two style parodies of him (“Happy Birthday” and “I Was Only Kidding”). Thanks, Al – but before we go, just for fun. Zeppelin or Sabbath? Frank Gehey or Frank Lloyd Wright? George Carlin or Robin Williams? This entry was posted in Rock and Roll Coffee, Saturday Music and tagged Eat It, Frank Lloyd Wright, JM Blaine, Music, Prince, rock and roll, song parody, Weird Al The Book, Weird Al Yankovic, writing. Bookmark the permalink.